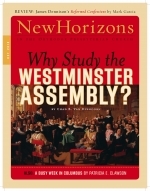 Why Study the Westminster Assembly? Last year my wife announced that I had been studying the Westminster Assembly longer than the gathering had met. She was amused. I had been working on the Assembly for eleven years; the Assembly had met for ten. In defense of myself, I should say that I discovered recently that the Assembly actually met for eleven years. But since it took me another year to figure this out, Emily's point still stands: this has taken a while. Have you ever heard of Alexander Henderson? During the years 1637-1646, a time of political and religious upheaval in Britain, during which the Westminster Assembly met, many people considered him to be the most important Scottish clerical leader. After his death in 1646, his fellow minister, Robert Baillie, said, "Mr. Henderson was incomparably the ablest man of us all, for all things." Another said that "of all the great men of our church, with the single exception of Knox, the deepest debt of gratitude is due to Henderson." Today if you travel to Edinburgh, Scotland, you will find Henderson's name on a plaque at the base of a column in the southwest section of St. Giles' Cathedral, which reads, "Statesmen, Scholar, Divine, Minister of St. Giles 1639-1646." His gravestone is set on the west side of Greyfriars kirkyard and his name is third on the entry sign at Greyfriars in a list of famous Scots. You can enter the National Museum of Scotland and discover that Henderson's clerical robe stands alongside his famous sermon, "The Bishops' Doom," from the notable 1638 Glasgow General Assembly, at which he directly challenged the authority of King Charles I. Yet, despite these and other indications of Henderson's apparent fame, there is no modern biography of him, and few Presbyterians today know his place in history. There are thousands of Christian denominations, and many of them are Reformed. With so many options, why did Branch of Hope Church select the Orthodox Presbyterian Church to affiliate with? Betty and I are one of the many couples that met at French Creek Bible Conference (FCBC), held at French Creek State Park in Pennsylvania. Like most of them, we probably would not have met if we had not been at French Creek. Actually, our meeting, dating, marrying, and establishing a Christian home was part of the purpose of the conferences. Pastors Bob Atwell, Glenn Coie, and Lou Grotenhuis began the conferences in order that the young people in their small churches would have a better opportunity to meet Christian peers. I remember that for several years, Pastor John Clelland taught a class on love, courtship, and marriage. It is no accident that a significant number of those on the current Board of Trustees of FCBC met their spouse during a conference. When did you last look up the phone number of a plumber in the phone book? When did you last check the hours of operation of a restaurant in the Yellow Pages? If you are like most people these days, you used one of the many search engines on the Internet to find such information.